Hristo Hristov is the CEO of Netinfo. 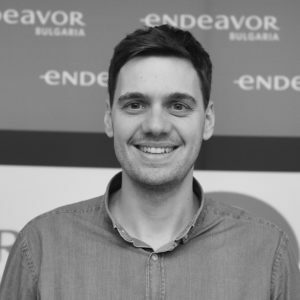 Since 2013, Hristo is the CEO of Netinfo – the biggest Bulgarian digital publisher with portfolio of over 30 sites and apps and reaching over 1 million people on a daily basis. In 2005, Hristo founded and managed the digital news website Dariknews.bg. After several acquisitions, it became the biggest digital media company on the Bulgarian market. Hristo is also the IAB Bulgaria Chairman as well as Founder and a Board member at Most Finance Management JSC, a company dealing with receivables management and purchase of bad debt. Hristo holds a Master Degree in Law from Sofia University St. Kliment Ohridski.